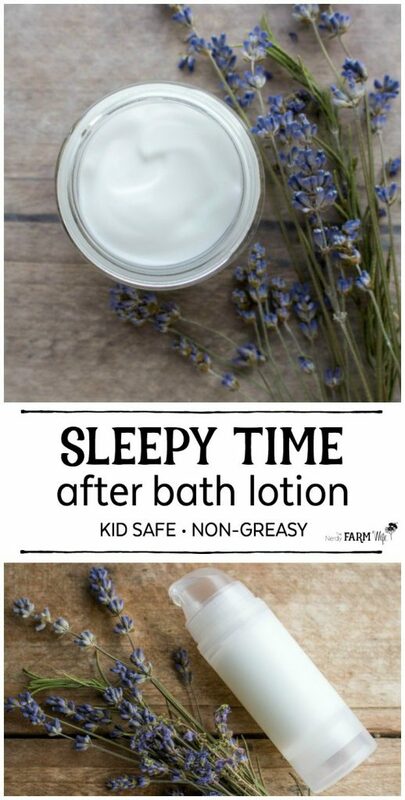 This after bath sleepy time lotion recipe was requested by newsletter subscriber Bonnie who was seeking a simple non-greasy lotion or cream, not based on coconut oil, that could be used on a 2 1/2 year old after her bath. She also wanted it to be lightly scented with lavender or a blend of essential oils that would help calm, soothe and relax before bedtime. While I designed this lotion to be kid-safe, there’s no reason it can’t be used on all ages! Sunflower Oil – I chose this oil because it’s a nice neutral oil that’s good for all skin types. Don’t have any on hand? Try sweet almond, rice bran, or your favorite oil in its place. Distilled Water – Tap water can contain contaminants that you don’t want in a lotion, so distilled water is recommended. Check the bottled water section of your local grocery store. Preservative – This prevents bacteria and mold from growing in your lotion. There are many options out there – some more natural than others. See more on this below. 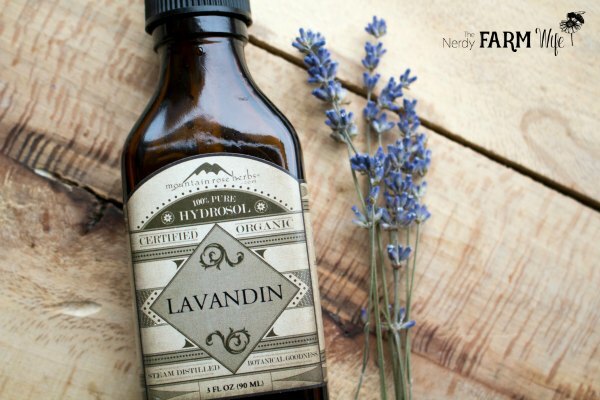 Essential Oil – I used lavender to give a light scent and since it’s been shown in studies (like THIS, THIS and THIS) to help promote a more restful sleep. See essential oil notes below for more ideas. 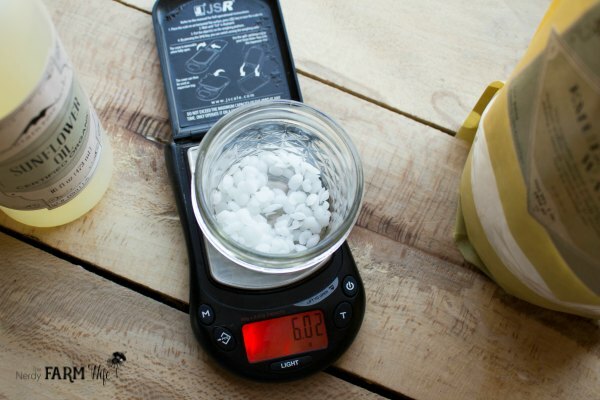 Place both jars down into a saucepan containing a couple inches of water, forming a double boiler of sorts. Turn the burner to medium low and heat until the wax is fully melted – about 10 to 15 minutes. Pour the hot water/hydrosol and melted wax/oil together into a clean jar and stir, stir, stir with a fork. Stir frequently until the lotion starts to thicken as it cools. I usually place the container down into a bowl of ice water to help speed this step up. Once cool enough for your preservative of choice, stir that in, then add essential oil, if using, and mix well. Once cool, pour into lotion containers or jars. 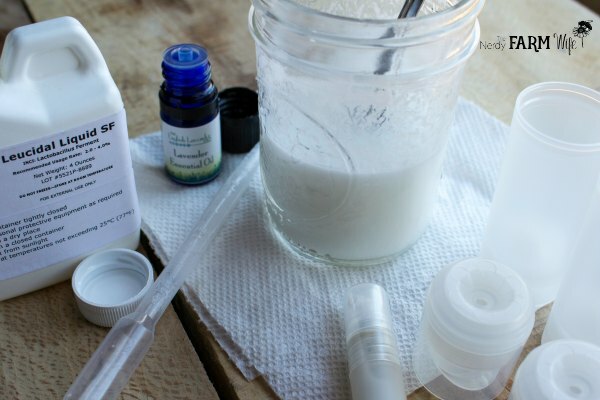 I poured my lotion into airless pump bottles (purchased from LotionCrafter) to help extend shelf life further, but you could use glass jars as well. Don’t store your lovely handmade lotions or creams in metal tins or they can discolor/rust from the water content. I most often use 4% (4 grams in this recipe) Leucidal SF Complete or 4% (4 g) Leucidal Liquid SF in lotions like this one. Both are naturally derived, probiotic based and ECOCert approved. I usually get at least a 3 month shelf life in my lotions/creams when using these products, though some readers have had varying experiences. 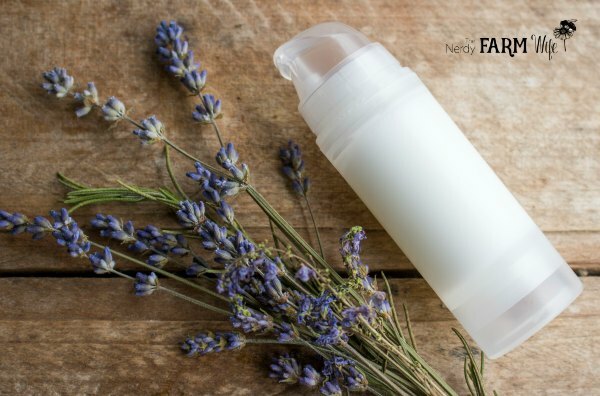 Be sure to also store your lotion in a cool place with even temperatures (bathrooms aren’t a good spot), out of sunlight, and scoop out the lotion with a clean spoon or use a pump style bottle to avoid contaminating with your fingers. There are many more preservative options out there – check out LotionCrafter, Formulator Sample Shop and The Herbarie. Just a note – vitamin E will not kill bacteria or mold, so it doesn’t act as a preservative. It will help with keeping oils from going rancid too early though! I chose to add 3 drops of lavender (Lavandula angustifolia) essential oil for its soothing and sleep-promoting properties. You could easily add 4 or 5 drops if you’d like (for kids over 2), though I feel that 3 drops gives a soft scent that’s not overpowering. If you want to make a blend, other rest-promoting essential oils to investigate include Roman chamomile (Arthemis nobilis or Chamaemelum nobile), Mandarin (Citrus reticulata), Bergamot (Citrus bergamia) and Vetiver (Vetiveria zizanoides). For tons of great information on essential oils, my go-to book is The Complete Aromatherapy & Essential Oils Handbook for Everyday Wellness. When making stuff for kids, I also always double check my chosen essential oils with THIS excellent list at Using EOs Safely. 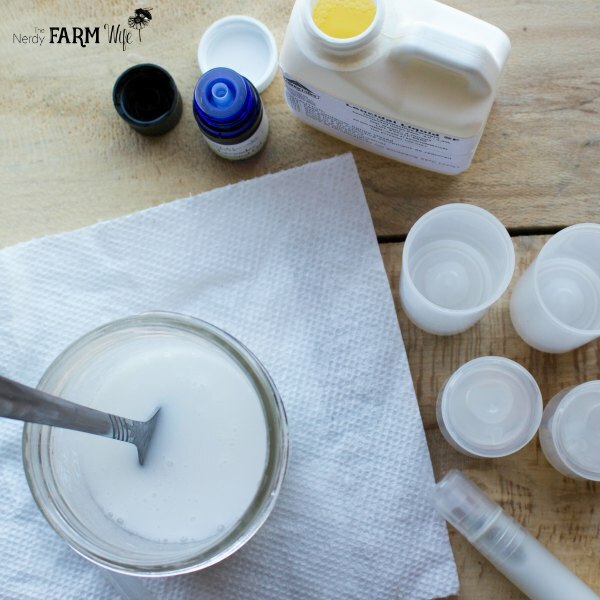 If you enjoyed this DIY lotion recipe, let’s keep in touch! 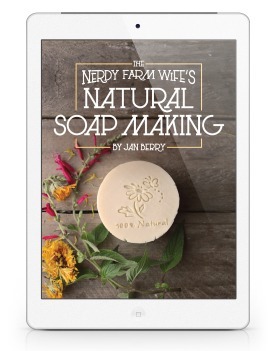 Sign up HERE and receive my newsletter two to four times per month filled with my best DIY body care recipes, natural soapmaking tutorials and creative ideas for using common flowers and herbs. Tagged kids, lavender, lotion, sleep. Bookmark the permalink. This sounds fabulous. I wonder, though, can I use aloe gel in place of some of the water? I’ve never made lotions, only body butters and lotion bars. The addition of water is new to me. I was so excited to read your email tonight and see that you had responded to my question about a safe after bath lotion for my 2 1/2 year old granddaughter. In the meantime, I used the basic calendula lotion recipe in your book and I used 5 drops of lavender. My daughter and granddaughter both love it, and I felt very confident that it would be safe for her. Thank you for the new recipe, I will be making that soon. I read all of your posts and make many of your recipes and love them. I hope you can make more labels as I could really use some help there. Again, you make a difference, thanks for all you do. I definitely want to add more on labeling too – it’s on my list! Hi Abby! You could make a lavender salve that has a similar relaxing effect. Hi Jan. Thanks so much for this recipe. 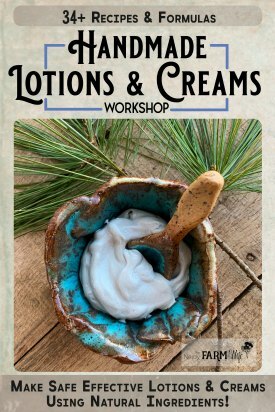 I’m new to lotion/soap making and this will be my first attempt. Can you please tell me how to transfer the lotion from the jar to the bottles? Thank you for all the info you share! Hi Beverly! The airless treatment pump bottles come in two pieces, so all you have to do is pour or spoon the lotion from the jar, into the bottom part of the bottle. After that, you just press the top on and it’s ready to use! We made this lotion today – and it turned out beautifully! Thank you so much for this recipe. As someone with sensitive skin, I have to be careful as to what I use for body care products. I have made my own soap for several years, but I’ve been afraid to make my own lotion. I purchased ECOMulse e-wax for this project, and I haven’t had any skin reactions so far. I’m so pleased! I also purchased the suggested preservatives and airless pump bottles, and I have to say the project came together so well! The finished product is luxurious. Thank you. Hey, I love your work and that’s the reason why I have decided to start making my own lotions. My question is if I want to make 8 ounce lotion ,how much of the ingredients you listed above am I to use?. I already have all my ingredients but I am having troubles with the amount of ingredients to use. I will really appreciate to read from you.